This system allows for the rope to pass through a lubrication collar, removing personal contact and increasing the safety of your team. The Kirkpatrick Wire Rope Lubrication Systems have been manufactured for over three decades, to enable wire rope and cable lubrication and cleaning. This system is NATO codified, used by the US Navy and Coast Guard, Australian Navy and most western naval forces. Kirkpatrick have been selling under the same name for over 30 years, clear evidence that the product is tried and tested, has long standing quality and that our partner company are reputable. Kirkpatrick Wire Rope Lubrication Systems are designed so that in only one application, wire rope can have its surface and grooves scraped clean of product build-up and grit – while at the same time any new lubricant is uniformly applied to the newly cleaned surface and injected into the very core. Moisture trapped in the internal strands is forced out and replaced with the new lubricant. 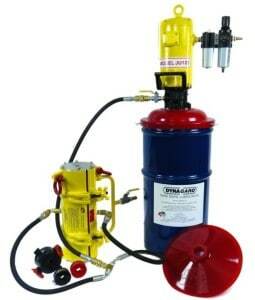 All systems are compatible with low as well as high viscosity lubricants. For heavy duty applications where higher viscosity coatings are needed, it can act as a grease applicator to combat friction damage caused by strand rubbing. The coating agent penetrates into the tiniest gaps within the groove pattern and internal strands loosen to collect it. The process is only achieved within the internal Seal Lubrication Chamber – where ropes are immersed in a controlled, pressurised environment so that confined moisture within the internal strands are expelled and replaced by the newly applied wire rope coating product. The personal safety benefit of using the Kirkpatrick system is that it is removes personal from physical contact with the steel rope during the lubrication process. 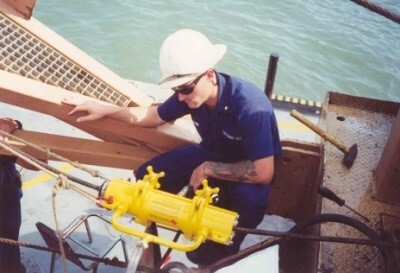 Developing the first successful wire rope lubrication system in the world in 1982 using its own requirements, the Kirkpatrick Group Inc. has been at the forefront of wire rope lubrication industry for three decades. 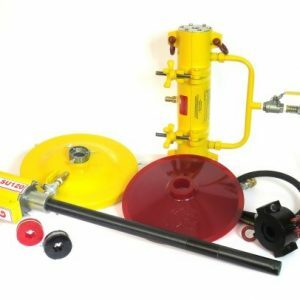 With an unrivalled reputation for wire rope lubrication systems and years of field experience under their belt, Kirkpatrick has positioned themselves as the leading resource and solution for any wire rope lubrication equipment problems. The KIRKPATRICK System comes in either standard or jumbo, depending on your requirements. Dynagard Blue CSS13 – This coating is formulated with a high viscosity base oil and engineered with a unique combination of additives to create the highest level of adhesion performance against fling off at high-speed Wire travel. It is also designed to resist water wash off in severe working marine environments. Dynagard E – This is a revolutionary non-toxic, biodegradable wire rope lubricant that meets the performance levels of petroleum-based greases in areas of fluid film and corrosion protection of wire rope strands. Dynagard“E was the first seed oil based high viscosity grease introduced onto the world market in 1993. It also was the benchmark product used in 2002 to establish MIL-PRF18458C Type II requirements under the Environmentally Preferable Lubricants program (NSWCCD, Code 632) for the United States Navy’s Naval Sea System Command. 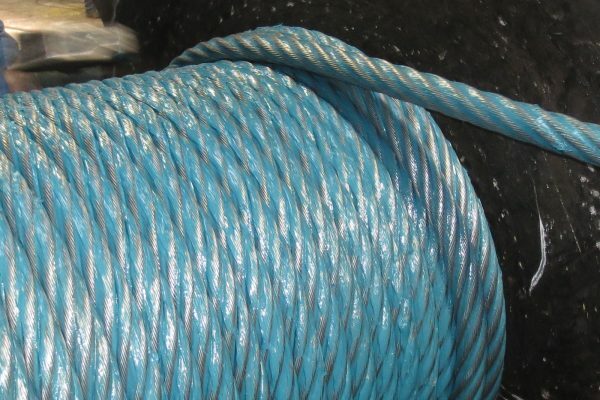 Dynagard LVL – This coating is an extremely tenacious wire rope dressing formulated for use in both marine and mining environments. This product is especially effective in applications where a rapidly penetrating product is required along with low fling off adhesive attributes of a much higher viscosity coating. This is particularly important for high-speed wire rope travel where fling-off is more apt to occur. Why use the KIRKPATRICK System? No rubber seals to snap onto a rope, where fingers may be trapped. No physical holding of a heavy lubrication collar, whilst trying to align the rubbers with the lubrication collar. Easy to secure collar to rope. Seal sizes to match the rope size being lubricated, ensuring a good seal and the best possible penetration of lubricant into the rope strands. Seals fit into the lubrication collar, and fit onto the rope at the same time the collar is installed. A discharge port is provided which allows some lubricant to exit the collar, taking water and other contaminates away with it. The lubricant must pass through the pressurised area before being able to drain off. Moisture trapped in the internal strands is forced out and replaced with the new lubricant lightweight aluminium Collar. Standard Equipment for US Navy, Coast Guard, Australian Navy, and NATO. Local authorised supplier with direct international support to the manufacturer. Groove cleaners act to clean the outer circumference as well as the wire rope groove pattern of contaminants that hinder the penetration of new coatings being applied inside the seal lubrication chamber. Polymers which are tough and durable without being brittle. All systems are compatible with low as well as high viscosity lubricants and greases.